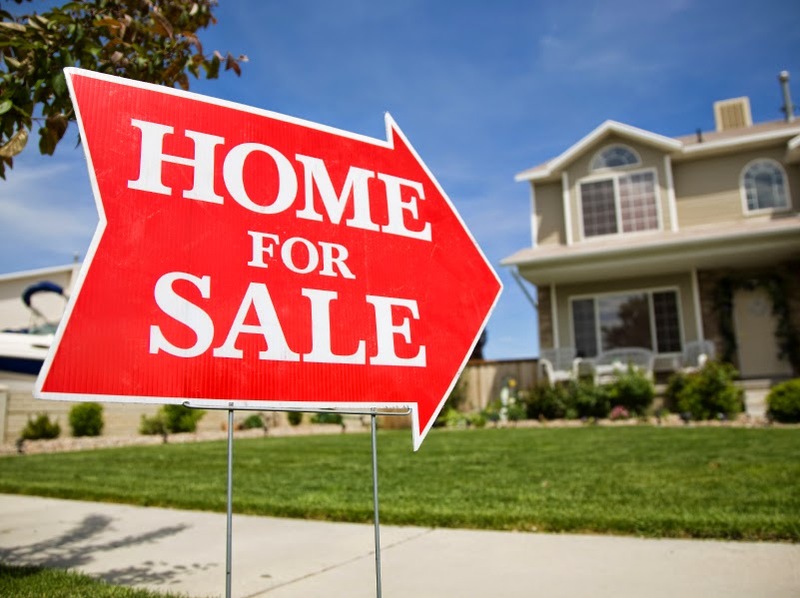 Existing home sales in July hit their best pace so far this year the National Association of Realtors® (NAR) said today, reflecting a 2.4 percent increase from June to a seasonally adjusted annual rate of 5.15 million units. June's sales were downgraded slightly to 5.03 million units. The July rate of sales marked the fourth consecutive monthly increase but was still 4.3 percent under the rate last July the month with the highest sales in all of 2013. Lawrence Yun, NAR chief economist, credited the slowly increasing sales momentum to stronger job growth and improving inventory conditions. "The number of houses for sale is higher than a year ago and tamer price increases are giving prospective buyers less hesitation about entering the market," he said. "More people are buying homes compared to earlier in the year and this trend should continue with interest rates remaining low and apartment rents on the rise." Affordability, Yun said, will likely decline in upcoming years. "Although interest rates have fallen in recent months, median family incomes are still lagging behind price gains, and mortgage rates will inevitably rise with the upcoming changes in monetary policy," he said. Single-family home sales increased 2.7 percent to a seasonally adjusted annual rate of 4.55 million in July from 4.43 million in June, but were 4.2 percent below the 4.75 million pace a year earlier. Existing condominium and co-op sales were unchanged from June at an annual rate of 600,000 units, 4.8 percent below the 630,000 unit rate in July 2013. The median price of existing homes of all types increased 4.9 percent on an annual basis to $222,900, the 29th consecutive month of year-over-year increases. Single-family homes were priced at a median of $223,900, 5.1 percent higher than a year earlier and the median condo was priced at $215,000, a 3.3 percent annual increase. The share of distressed homes - foreclosures and short sales - in July fell below double digits for the first time since NAR first tracked the category in October 2008. Nine percent of all sales were distressed compared to 15 percent in July 2013. This is in - line with figures announced on Wednesday by CoreLogic which reported June distressed sales at 11.4 percent, down from 15.8 percent a year earlier. NAR said 6 percent of existing home sales were foreclosed property (REO) and 3 percent short sales. Foreclosures sold for an average discount of 20 percent below market value while short sales were discounted 14 percent. Yun says the deepest housing wounds suffered during the Great Recession are beginning to fully heal. "To put it in perspective, distressed sales represented an average of 36 percent of sales during all of 2009," he said. "Fast-forward to today and rising home values are helping owners recover equity and strong job creation are assisting those who may have fallen behind on their mortgage due to unemployment or underemployment." Twenty-nine percent of transactions in July were all-cash sales, down from 32 percent in June and the lowest overall share since January 2013 when 28 percent of sales were cash. Individual investors, who account for many cash sales, purchased 16 percent of homes in July, unchanged from both last month and July 2013. Sixty-nine percent of investors paid cash in July. The percent share of first-time buyers rose slightly from 28 percent in June to 29 percent in July. This was the second consecutive monthly increase but the share of sales to first-time borrowers remains historically low. NAR President Steve Brown says the new credit scoring calculation recently announced by Fair Isaac Corp., or FICO, will improve access to homeownership. "NAR supports efforts to broaden access to credit for qualified homebuyers, especially those who have been shut out of the housing market or forced to pay higher interest rates because of flawed credit scores," he said. "A solid credit score is necessary to keep borrowing costs down." The inventory of available existing homes for sale rose to 2.37 million at the end of the reporting period, up 3.5 percent from the end of June. This represents a 5.5-month supply at the current sales pace. Unsold inventory is 5.8 percent higher than a year ago when there were 2.24 million existing homes available for sale. Regionally, July existing-home sales in the Northeast were unchanged from the June annual rate of 640,000, 9.9 percent below a year ago. The median price in the Northeast was $273,600, an increase of 2.4 percent from July 2013. Existing homes sales in the Midwest increased 1.7 percent to an annual level of 1.22 million in July, but remain 4.7 percent below July 2013. The median price in the Midwest was $175,200, a 4.1 percent annual increase. In the South sales rose 3.4 percent to an annual rate of 2.12 million, a slight increase (0.5 percent) from July 2013. The median price in the South was $192,000, up 5.0 percent from a year ago. Sales in the West climbed 2.6 percent to a 1.17 million pace in July, but this was 8.6 percent below a year ago. The median price in the West was $304,100, which is 6.3 percent above July 2013. The median time on market for all homes was 48 days in July compared to 44 days in June and 42 days in July 2013. Short sales were on the market for a median of 93 days, foreclosures sold in 58 days and non-distressed homes typically took 45 days. Forty percent of homes sold in July were on the market for less than a month. At Peoples, our constant hope is that the economy improves and that more people realize their dream of home ownership. We would like to play our small part in this process.